Home » Blog Index » Blogs, Featured, Interviews, Jamie » Kristen Cumings for Jelly Belly at New York Comic-Con 2018! Kristen Cumings for Jelly Belly at New York Comic-Con 2018! Mid-Day Jamie chats with Jelly Belly’s Artist in Residence Kristen Cumings at New York Comic-Con 2018! 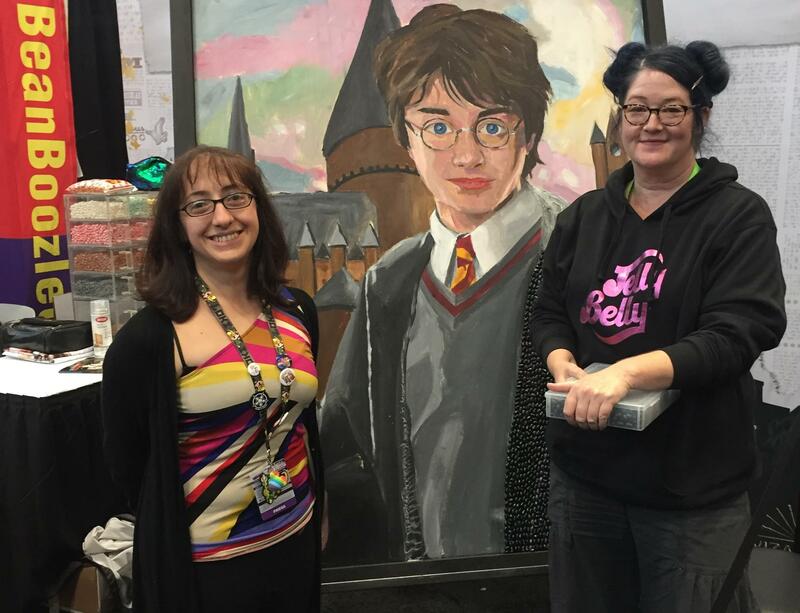 This year, she made a portrait of Harry Potter, in honor of the book’s 20th anniversary! Listen to the interview below, and check out the pictures! See everything Jelly Belly has to offer – including some Harry Potter-inspired treats – at Jelly Belly’s official website!